ACJ take great pride in our expert knowledge of the local areas we work and live in. 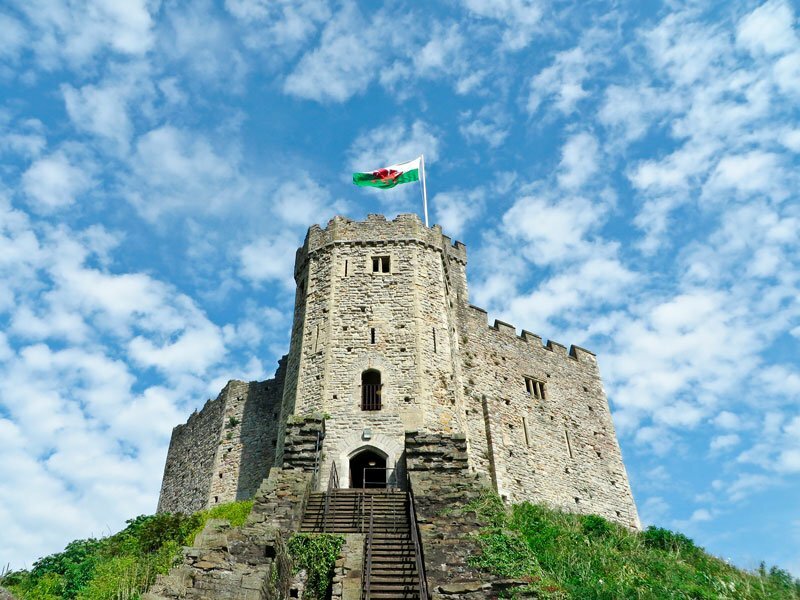 From travel connections to local schools and the surrounding area, we give you an overview to what Cardiff and the Vale of Glamorgan is like to live in. Whether you are local or new to the areas, our area guide is here to make your life easier when making your next move. Take a look at our property to rent or for sale in the areas to get you started. Consistently named as one of the best places to live in Wales by the Sunday Times, Penarth is situated about 5 miles south west from the city centre of Cardiff. Penarth is a wealthy seaside resort and the second largest town in the Vale of Glamorgan. It is also where the main office of ACJ Properties is located and as the majority of our staff live and work here, we might be a little biased, but we love it! 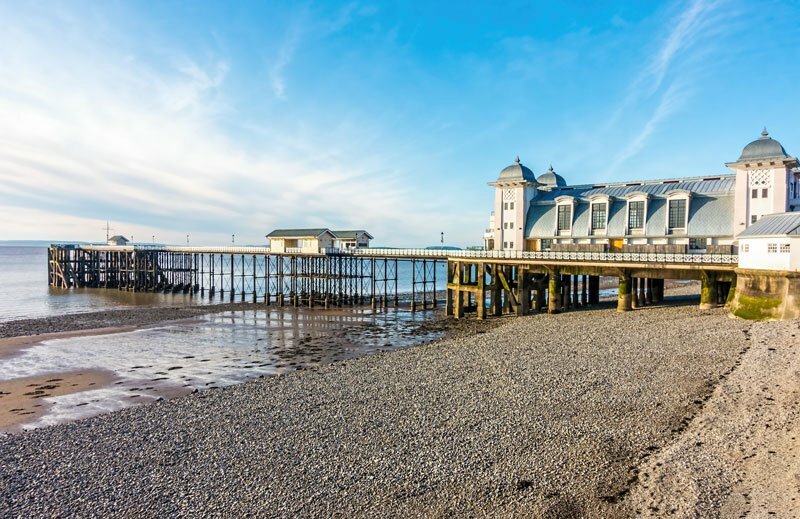 Find out more about this lovely area we call home with our local area guide for Penarth. Llandough is a residential area lying to the northwest of Penarth town, overlooking Cardiff, Penarth and the Bristol Channel. There is a large hospital situated here and many of the houses and flats in the area are rented and owned by hospital workers. Llandough Primary school is one of the feeder schools for Penarth’s largest secondary school, St. Cyres. Llandough is within walking distance of Cogan Train station and is well served by bus links. Sully is a village lying on the northern coast of the Bristol Channel, midway between the towns of Penarth and Barry and 7 miles from the city of Cardiff. There is a beach, local shop, Post Office and pharmacy, along with a couple of pubs and a Cricket, Football, Bowls and Yacht Club. Sully Primary school is a feeder school for Stanwell Comprehensive in Penarth. There is no railway station in Sully but good bus links. Cadoxton Train station in Barry is the closest, approximately 2 miles away. Sully Hospital was converted to a luxury apartment complex, Hayes Point in 2010; otherwise, the properties tend to be larger houses and bungalows towards the beach side of South Road and more compact, affordable houses off Arlington Rd. Find out more about this area with our more detailed area guide. Dinas Powys is a large village, situated 5.6 miles from Cardiff. The centre of Dinas Powys still has a mostly unspoiled and almost rural feel, with a large village common and a traditional village centre “The Square”, which includes a post office and a range of small independent shops, pubs and community facilities. Dinas Powys Golf Club is a short walk from the Square. There are 2 train stations in the area, Dinas Powys and Eastbrook. Dinas Powys has a handful of primary schools which are feeder schools for comprehensives in Barry and Penarth. Find out more with our Dinas Powys local area guide. Barry lies on the north coast of the Bristol Channel, approximately 9 miles from Cardiff. Barry is a seaside resort, with lovely beaches and the resurrected Barry Island Pleasure Park. According to the 2011 census, the population of Barry was 51,502, making it the fifth largest town in Wales, after Cardiff, Swansea, Newport and Merthyr Tydfil. Want to know more? See our full area guide for Barry. Surrounded by woods and farmland, Wenvoe lies between Barry and Cardiff in the Vale of Glamorgan. Maintaining a thriving farming community for centuries, Wenvoe, while still a farming village to an extent, has doubled in population in the last hundred years due to the vast amount of high-end property created by both the government and private developers. There is a village shop with a post office, a parish church, primary school, hotel, a part-time library, barber and three village halls. There is no train station in Wenvoe but it has good access links to the M4, Cardiff and Barry. Adamsdown is an inner city area, located between Newport Road to the north and the mainline railway to the south. Adamsdown is one of the older, traditional, working class suburbs of Cardiff. With thriving independent shopping and great community spirit, it’s a diverse and up-and-coming neighbourhood which is about 10 minutes’ walk from the main city centre. Birchgrove is a district of the city of Cardiff stretching between Llanishen and the Gabalfa interchange, along the A469 Caerphilly Road. It centres on a crossroads dominated by the Birchgrove Pub where Heath, Whitchurch, Heath Park and University Hospital of Wales adjoin, with rows of small shops and eateries in the area. Birchgrove Station on the Coryton Line is served by Arriva Trains Wales. This area is popular with hospital workers due to its proximity to University Hospital of Wales. Located in Western Cardiff, Ely is primarily dominated by current and former council housing but also has some newer housing estates in Caerau and Culverhouse Cross. Cowbridge Road West (the A48) is the predominant road running through Ely as it runs on to Canton and Cardiff city centre to the east, and to Culverhouse Cross interchange to the west. Though there is no train station in the area, buses are frequent to and from the City Centre. Culverhouse Cross has a number of retail parks including shops such as Marks and Spencer, Tesco, B & Q and Currys. An inner-city district in the west of Cardiff, lying 2 miles from the city centre. Canton is one of the most ethnically diverse of Cardiff’s suburbs and also the most Welsh-speaking district of central Cardiff according to Wikipedia, with 19.1% of the population speaking Welsh. Many of the houses here are terraced and there is a thriving high street with independent shops, cafes and restaurants. Though the area has strong working class roots, many artists and young professionals have found the proximity to the city centre and the number of arts venues and pubs an attraction, renting or buying houses in the area. There are some lovely parks nearby, such as Victoria Park, Thompsons Park and Llandaff Fields. Canton and nearby Pontcanna were named 13th on the hippest places to live in the UK in 2017. Cardiff Bay is the area of water created by the Cardiff Barrage and is also the name commonly given to the areas of the city surrounding the Bay. The creation of Cardiff Bay is now widely regarded as one of the most successful regeneration projects in the UK. Mermaid Quay is a waterfront shopping and leisure district with many bars, cafes and restaurants. It also houses the Senedd (National Assembly for Wales) and The Wales Millennium Centre which is home to the Welsh National Opera. If you choose to live in Cardiff Bay, you would probably live in a modern apartment block, though not all of those to be considered as located in Cardiff Bay are around Mermaid Quay itself. You can walk into Cardiff from Mermaid Quay in about 20 minutes, plus there is a train station, buses and regular water taxis to Penarth and the City Centre (the water taxi stops behind Cardiff Castle). Regularly mispronounced by visitors as a silent th (it’s actually pronounced Cat-hays), this area is heavily dominated by students due to its proximity to Cardiff University. Houses tend to be terraced with some converted into flats. As you would expect, there are many restaurants, bars and cafes nearby. There is a train station, regular bus links and you can walk into the city centre in approximately 10 minutes. Another area that is regularly mispronounced (think Kin-coyd to say it correctly), Cyncoed is an affluent, leafy suburb to the north east of the city with well-regarded schools such as Rhydypenau Primary and Cardiff High school. Features include a small shopping village, a number of churches and a synagogue. The nearest train stations are Heath High Level, Heath Low Level and Lisvane. Roath Park is a long, fairly narrow park stretching from Roath into Cyncoed. This is one of Cardiff’s most popular parks with a very large lake in its centre. The houses that surround the park are mainly Victorian and this is also considered to be an affluent area. Located a few miles from Culverhouse Cross, Fairwater is a mainly residential area, well served by public transport with three railway stations – Fairwater in the heart of the area, Danescourt in the north and Waun-Gron Park in the south. Fairwater green has a handful of shops and a coffee shop. One of the largest districts in the south of the city, Grangetown is an ethnically diverse district adjacent to the city’s Cardiff Bay area. Grangetown is benefitting from the nearby developments of Cardiff Bay and is experiencing many improvements in its infrastructure. The area is within walking distance of the city centre and Cardiff Bay, with its own train station. Situated north of the city centre, the area of Heath Park has more traditional middle-classed semi-detached housing from the 1920s-1950s. Heath has lots of green open spaces nearby such as Heath Park and Roath Park. Just south of the Gabalfa roundabout is what used to be called “little Heath”, now often identified by the main road running through the area, Whitchurch Rd. Heath is home to the 3rd largest hospital in the UK, the University Hospital of Wales (or just Heath Hospital to the locals). This area is mainly Victorian terraced houses, cafés, shops and restaurants and is home to many students and hospital workers. An affluent community in the north of Cardiff, located 5 north of the city centre. Generally considered to be one of the wealthiest residential areas in Cardiff, with many properties worth in excess of 1 million pounds. There is a local village shop, a primary school & nursery, a park, a parish church, a pub and a village hall. The area is serviced by Lisvane and Thornhill railway station. Llandaff has a quaint village feel, overlooked by the iconic Llandaff Cathedral. The birth place of Roald Dahl, this suburb has lots of character with plenty of independent cafés, restaurants and bars nearby. In 2015, Llandaff was named as one of the best urban places to live in the UK by the Sunday Times. Llandaff is served by railway stations at Danescourt, Fairwater, and Waun-Gron Park, each about a mile from the cathedral. There are 2 high schools in the area, Bishop of Llandaff Church in Wales High School and Ysgol Gyfun Gymraeg Glantaf (serving Llandaff, but located in Llandaff North), a Welsh medium school, plus 2 independent schools, The Cathedral School, and Howell’s Girls School. You can walk or cycle the Taff Trail which will take you through to Bute Park in the city centre, right up to Llandaff Fields on the borders of Pontcanna. Nearby Danescourt has a primary school, a church, a pub and a shopping centre that includes a local convenience store, a newsagent, a Post Office, a nursery for children and Forte School of Music. There is also a dentist’s surgery and a GP’s practice next to the Shopping Centre. Llandaff North is a small and quiet residential area which is served by a number of village shops, including cafes, a pharmacy and an artisan bakery. The south-western boundary of Llandaff North is formed by the River Taff which also separates Llandaff North from Llandaff. These two areas are linked by a road bridge which spans this river, where Llandaff Rowing Club is located, and which also provides a view of Llandaff Cathedral. Llandaff North is also home to Hailey Park along the River Taff, with large playing fields, tennis courts and two children’s playgrounds. Ysgol Gyfun Gymraeg Glantaf is a state secondary school based on the outskirts of Llandaff North. It is a Welsh-medium comprehensive school. Nearby Gabalfa is s characterised by a large fly over road at the Gabalfa Interchange, where the A48 road meets the A470 road (North Road) which leads from Cardiff to northern Wales, and the A469 road (Caerphilly Road). There is no train station within Gabalfa, though plenty of bus links and good access to main roads. In the late 1960s, Cardiff Council built low cost social housing in Llanedeyrn. The council provided prefabricated and terraced houses, and many two-, three- and multi-storey blocks of flats were constructed. The area is currently benefitting from a regeneration project around the Maelfa shopping centre, which will provide new homes, shops and services to the community. Llanishen is known locally as the home of the Tax Offices, but don’t let that put you off! Llanishen has an old village, leafy suburban roads, various parklands and a reservoir beauty spot, plus its own golf club. Situated in the east of Cardiff, the district is predominantly composed of large scale council housing estates. The area has a number of shopping precincts, the largest of which can be found on Countisbury Avenue. There is also the very large Eastern Leisure Centre, scheduled to be refurbished soon at a cost of £6.8m. In 1977, Cardiff Council deemed the most historically significant part of St. Mellons to be worthy of special recognition. A boundary was created to enclose Old St. Mellons, leaving the newer housing estate of St. Mellons to the South, and Pontprennau to the North. Old St Mellons is a very wealthy area, made up largely of 19th-century housing, a village hall and several pubs and shops. There are 15 nationally listed buildings and structures in the village. This area houses some of the most expensive houses in the city. Transport links into the city centre are not the best, but there are ambitious plans to create a new train station and business park at St Mellons. Pentwyn is located northeast of the city centre. Llanedeyrn is immediately to the south, Cyncoed to the west and Pontprennau to the north. Pentwyn has two pubs, a large leisure centre, its own shopping centre with a post office and several takeaway outlets. It is also very close to supermarkets and Cardiff Gate Retail Park. An affluent and highly sought after area, boasting some of Cardiff’s best examples of Victorian and Edwardian architecture on its spacious tree lined avenues. With its leafy streets and tranquil gardens, it is easy to forget how close you are to the city centre. Waterloo Gardens Shops area has a Hairdressers, Lifestyle Store, Post Office and Waterloo Gardens Tea House. Not so hip as Pontcanna, but Penylan certainly competes with parks and its community feel. There is no train station in Penylan, but you can walk to the City Centre and it is close to access to the M4. Located on the edge of Cardiff city centre, Pontcanna is an area of wide tree-lined streets and large houses, plus lots of open green spaces such as Llandaff and Pontcanna Fields. Pontcanna is a wealthy area with great cafes, restaurants and independent retailers. According to Wikipedia, there is both a large English-born population (roughly 25%) and a Welsh-speaking population (roughly 20%). The BBC’s Broadcasting House is located in nearby Llandaff, so you may find many media executives living or socialising in Pontcanna. Parking can be difficult in this suburb, with mainly resident permit parking offered on a first come first served basis, but it shows no sign of losing its popularity, with Pontcanna and nearby Canton being named 13th on the hippest places to live in the UK in 2017. Located in the northeast of the city, near Pentwyn and the village of Old St Mellons. Housing has expanded greatly in this area in the last 15 years, therefore, many of the houses are on new housing estates. Cardiff Gate Retail Park is home to a large 24/7 Asda supermarket and petrol station, a B&Q DIY store, a McDonald’s and several home furniture stores. There is also a Waitrose and a recently opened primary school. Pontprennau has good transportation links, being located next to the M4 motorway junction 30. Located about 4 miles northwest of Cardiff, close to Whitchurch and St Fagans, is the affluent area of Radyr. Served by its own primary and comprehensive schools and golf, tennis and cricket clubs. The Taff Trail cycle path passes through Radyr via Radyr Weir. Great transport links with Radyr train station and its proximity to the A470 and M4. Another commonly mispronounced name, Rhiwbina (think Rewbyna to pronounce correctly) is located in the north of Cardiff, close to Whitchurch and Llanishen. Rhiwbina has a small but busy high street, or “village” to the locals, with many independent businesses offering haircuts, beauty treatments, vintage shops and several eateries. There are three primary schools within the area and comprehensive schools in nearby suburbs of Whitchurch and Llanishen. Rhiwbina has its own train station and the M4 and A470 are very nearby. Riverside is an inner-city area and community, consisting mainly of Victorian terraced houses. The area has sizeable communities of Bangladeshi, Sikh and Chinese heritage, particularly around Tudor Street. Riverside has a number of Chinese, Halal, Indian, and West Indian shops selling a great range of foods. Roath is north-east of the city, though much of Roath would be considered to be within walking distance of the main city centre. The bustling shopping area of Albany Road, City Road, and Wellfield Road are home to many independent stores, restaurants and cafés. The area is characterised by its several tree-lined avenues and Victorian era terraced streets. Roath houses a very diverse population including a large number of students, being very close to the main university campuses, a large ethnic minority population and many young professionals. See Cyncoed / Roath Park for information on Roath Park. Not to be confused with Rhymney, Rumney is located in the east of Cardiff. Rumney and Tremorfa are predominantly residential areas with a variety of social and private housing. Both are close to many shopping outlets on Newport Rd. A name which is often a source of amusement to visitors (yes, you say it how you think!) Splott is an inner city area located just east of the centre of Cardiff. Most of the houses are small Victorian terraces, built during the expansion of the City’s iron and steel industry to house factory workers. There is a strong community focus and the area of Clifton Street and Broadway are home to many local shops. Cardiff city Centre is within walking distance and as such, there is a diverse population in Splott including young professionals, families and students. A village with a rural feel located in the west of the city of Cardiff, near Fairwater and Ely. The village is home to St Fagans National History Museum (formerly called the Welsh Folk Museum and the Museum of Welsh Life) which includes St Fagans Castle and gardens. There are plenty of listed buildings, old stone cottages and a local church and pub, plus newer housing developments nearby. Contrary to Old St Mellons, St Mellons is a newer, much larger area made up of modern housing, council housing and business/retail parks. The area is located next to Junction 29a of the A48. There is no railway station but bus services run frequently between the area and Cardiff Central Station. Located in North Cardiff, this is a popular area to live with a relatively modern housing stock dating mainly from the late 1980s and beyond. Thornhill has a centralised precinct, Sainsbury’s supermarket, 3 pubs, plus a post office and medical centre. Thornhill is served by Lisvane and Thornhill railway station with regular bus services. Located in north Cardiff, this popular suburb contains a number of schools, a bustling high street known as “the village”, plus several pubs, eateries and independent shops. Whitchurch lies between two rail lines, Llandaff and Coryton and has good access links to the M4.